In 2013, something strange started happening to the starfish, or sea stars, that live along North America’s Pacific Coast. Casual observers began reporting starfish that were “dissolving” or “melting”. In 2014, researchers were able to identify a viral culprit as the immediate cause of the disintegrating sea stars, but we still know very little about how it spreads or which starfish species are most affected by it. The dying sea stars that were easiest to spot were the ones that live close to shore. But no one knew what the mysterious Sea Star Wasting Disease (SSWD) was doing to the sea stars deep underwater and in the open ocean. “When the sea star wasting disease hit in the Salish Sea in 2013, my first thought was, ‘Gosh, we have 29 species of sea stars. Who’s going to get hurt?’” Gaydos told me over the phone. Luckily, the Salish Sea, an area which includes Puget Sound in Washington State and the Gulf Islands in British Columbia, Canada, is home to an organization called REEF. 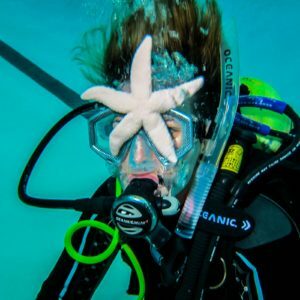 Since 2006, REEF has been training amateur divers to count the organisms they see, and over 8,000 of those dives have included sea star counts. Gaydos and his colleagues, led by Diego Montecino-Latorre, analyzed the data from REEF’s dives. They also supplemented the REEF data by systematically criss-crossing the Salish Sea’s basins, counting the starfish they saw. And the data tell a story of devastation. At least, for some of the sea stars. 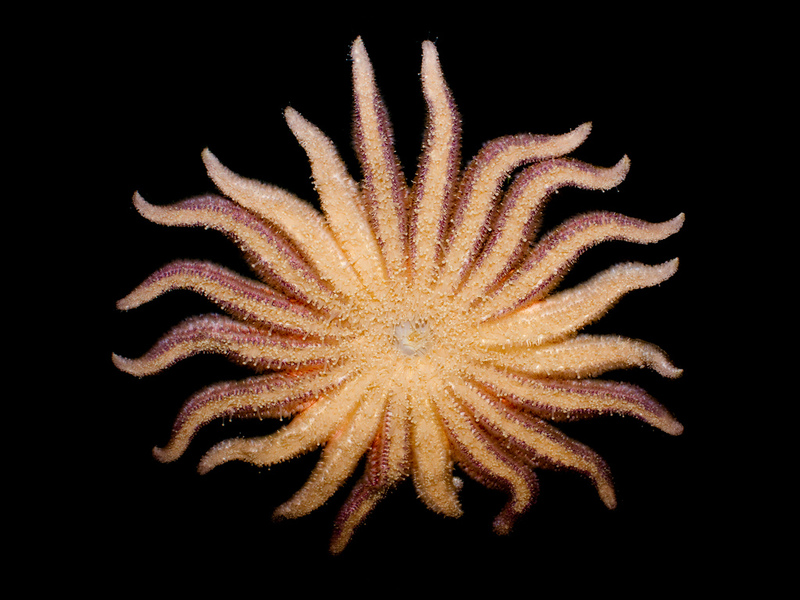 “There are a couple of species that are just getting hammered, and the biggest of those is the Sunflower Sea Star,” Gaydos explained. [Above: Photo of a Sunflower Sea Star (Pycnopodia helianthoides) by David Siu via Flickr & CC 2.0 License. Sunflower Sea Stars are one of the largest sea star species in the world, as big as a car’s tire when they’re full grown, according to Gaydos. 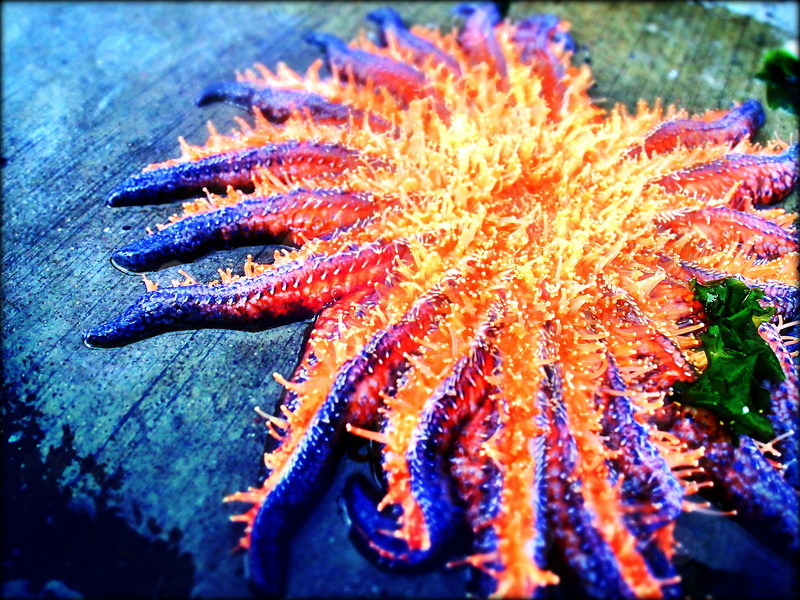 And consistently, across five basins in the Salish Sea and along the Washington State Pacific Coast, Sunflower Sea Stars are wasting away. “Routinely, you would see a dozen on a forty five minute dive, and now you’re seeing them on maybe six out of a hundred dives. Before 2013, you saw them on maybe 90% of the dives.” said Gaydos. 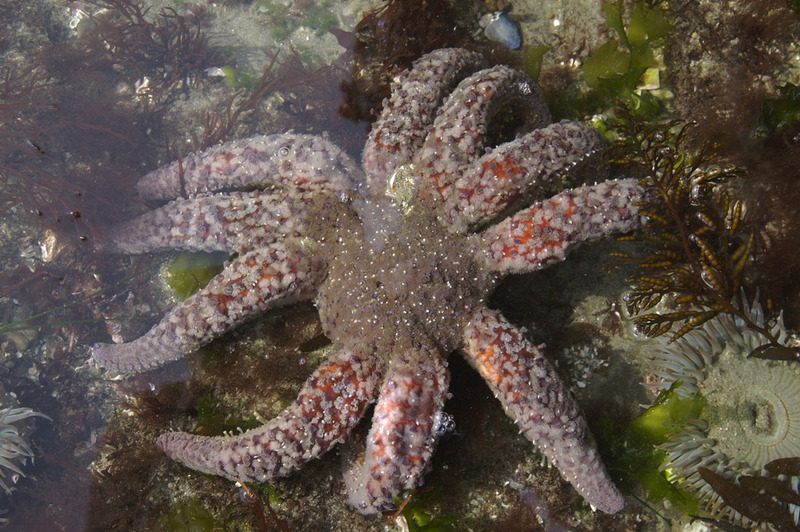 Another species–Pisaster brevispinus or the Giant Pink Sea Star– went into a sharp decline as early as 2012, prompting Gaydos and his colleagues to wonder if it might have been the first species affected by the virus. However, without more information on how the virus is transmitted and how it targets starfish, we’ll likely never know. Meanwhile, sea urchin populations are booming, thanks to the absence of their predators and competitors. Another beneficiary of the wasting disease is the Leather Sea Star. Its population has actually grown in the Salish Sea region since 2013. “If you’re a leather star, life is looking pretty good for you. Or if you’re a blood star,” said Gaydos. The increase in the sea urchin population will likely mean a decrease in the amount of kelp. Gaydos says, but overall, it’s still too early to predict the longterm effects of the sea star wasting disease outbreak. What sets this study apart from many environmental epidemiology papers is its reliance on the volunteer divers. The 8,097 dives used in the paper were carried out by about 600 citizen divers, meaning several divers went underwater dozens of times to help count sea stars. Thanks to their efforts, scientists now have a much clearer picture of which sea star species were most affected by the virus.